Is marijuana for depression an effective treatment? An in-depth look at how it works, ingestion methods and strains, as well as using CBD for depression. For decades, the standard of care for depression has been prescription antidepressants and therapy. While these work for some, others find these treatments ineffective or grow weary of dealing with the often unpleasant side effects of pharmaceuticals. In recent years, many people have been looking into marijuana and depression to see if cannabis can provide an effective alternative to traditional treatments. What does the science say: does marijuana help with depression and related disorders such as anxiety and PTSD, or is it all just hype? Could cannabis be an all-natural treatment for people with depression? According to the World Health Organization, depression affects nearly 300 million people worldwide. To be clear, depression is not the same as normal, everyday changes in mood or typical responses to stressful life events. Depression is severe and longer-lasting. It’s characterized by extreme sadness that results in a lack of interest in everyday activities, loss of appetite, insomnia, and problems concentrating. For some people, depression is so extreme that they may have thoughts of suicide. Even mild depression can greatly impact one’s ability to function and enjoy day-to-day life. Treatment for depression can involve various forms of counseling and therapy. It also typically involves prescription antidepressant medications. Selective serotonin reuptake inhibitors (SSRIs) are some of the most common medications prescribed to those who are struggling with depression. These medications are useful and can be highly effective at reducing depression symptoms in many people. For some, though, side effects can be so intrusive that they cause people to go on and off of their medication. This can create fluctuations in brain chemistry and a recurrence of depression symptoms. Frustrated with the drawbacks of their prescription medications, many patients and healthcare providers have turned to marijuana to treat depression. So far, the results have been promising. A large number of studies have explored the medical benefits of marijuana and found it to be effective at alleviating the symptoms of a number of conditions, from chronic pain to anxiety and involuntary movement disorders. Since depression can be a secondary symptom of many of these conditions, that makes cannabis a useful tool in combating it. Many patients are turning to marijuana for anxiety and depression in favor of prescription antidepressants. Research is beginning to show that cannabis a powerful tool in treating depression as a primary condition, as well as a secondary symptom of common disorders. Studies range from looking at cannabis for anxiety and post-traumatic stress disorder to everyday depression. Physicians have also joined the fray, reporting on seeing improvements in patients who use medical marijuana for anxiety and depression. A team of neuroscientists from the University of Buffalo released the results of a study in February 2015. As part of the Research Institute on Addictions, these scientists conducted in-depth research on substance use, abuse, and addiction. It was of particular interest to them to see if cannabis – a substance that has long been demonized as only having recreational purposes – could be effective in the medical treatment of depression. In their study on cannabis and depression, the UB team focused their research on endocannabinoids – naturally-occurring chemicals that bind to receptors in the brain and control things such as emotion and behavior. A problem arises in the brains of people who have a reduced number of endocannabinoids. Boosting levels of these chemicals can be an effective treatment for depression that occurs due to chronic stress. Studies on rats revealed that marijuana cannabinoids can be used as replacement for endocannabinoids. Dr. Samir Haj-Dahmane, the researcher who led the project, concluded that “using compounds derived from cannabis to restore normal endocannabinoid function could potentially help stabilize moods and ease depression.” The UB findings on endocannabinoids help reveal the mechanism through which cannabis can helps those who have struggled with depression. While post-traumatic stress disorder and depression are different conditions, they often co-occur (along with anxiety) in people who have witnessed or experienced a traumatic event. It turns out that marijuana may be an effective treatment for all three. A large body of evidence supports the use of marijuana for anxiety. Meanwhile, a 2014 study published by the Journal of Psychoactive Drugs showed that cannabis causes a 75% reduction in symptoms for those who are experiencing post-traumatic stress disorder (PTSD). In an article in Psychology Today, Dr. Jeremy Spiegel described the struggle of one of his patients who was dealing with depression. Her doctors had switched her from one prescription medication to another for years. Frustrated with the side effects (as well as the withdrawal symptoms every time she stopped one medication to try another) she decided to try medical marijuana for depression. She found great relief from it. While she must still work to address her underlying psychological issues, cannabis has proved to be helpful in easing her dark moods and lack of energy. Just like with traditional medications, it’s important that use of marijuana for depression be combined with supervised medical treatment, therapy and counseling in order to address any underlying health or psychological issues. With physician approval, using medical marijuana offers a diverse array of choices in terms of ingestion methods, dosage, and overall effects. This offers patients an alternative to prescription antidepressant medications with potentially unpleasant side effects. Medical cannabis provides a world of choices. 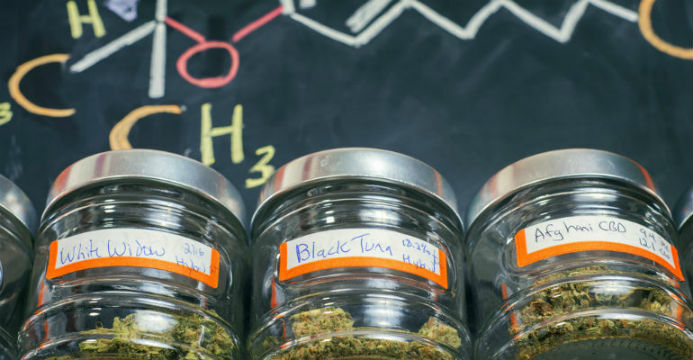 Just as there are a variety of strains, patients also have options as to the way they ingest cannabis. There is no longer the need to roll up a marijuana cigarette and smoke it – a huge relief for those with lung issues, a sensitivity to smoke, or concerns about lung cancer. Methods of delivery for marijuana include oral sprays and drops, pills, patches and vaporizers. While smoking or vaporizing marijuana will cause it to take effect right away, consuming it orally means that the effects will take some time – even an hour or more – to kick in. No matter what ingestion method one chooses, it’s important to start with a low dose and wait for it to take effect before consuming more. When using marijuana to treat depression, ingestion methods range from smoking and vaping to oils, edibles, tinctures, and more. One of the reasons many people choose marijuana over traditional pharmaceuticals is that medical marijuana for anxiety and depression isn’t a one-size-fits-all treatment. There are a variety of different marijuana strains, each with its own signature effects. These can be grouped into indica, sativa, and hybrid strains. What works better – indica or sativa for depression? There isn’t one correct answer. Choosing the best strain is dependent on the combination of cannabinoids, as well as the terpenes in each one. It’s also important to take a patient’s individual symptoms into consideration. Generally speaking, sativa strains are considered to be stimulating and elevating. They’re excellent for boosting mood, as well as lifting the fog of fatigue. Many people choose sativa strains when they need the motivation to get up, focus, and be productive. Better known for their tendency to relax than for their mood-boosting effects, indica strains might not be good at treating depression as a primary condition, but they are useful for targeting some of the symptoms that can arise as a result of depression. Those considering indica or sativa for depression should choose the former if they’re hoping to boost their appetite, quell anxiety, or get some sleep. Hybrid marijuana strains allow people to enjoy the combined characteristics of sativa and indica – with each hybrid having its own signature effects. Some can uplift while providing calm and clarity, while others stimulate appetite while lessening stress. Indica or sativa for depression? The best choice depends on the cannabinoids in individual strains as well as the symptoms the patient is hoping to treat. While marijuana as a whole can be a good alternative to prescription antidepressants, there is also a great deal of focus on the use of CBD for anxiety and depression. CBD, also known as cannabidiol, is one of the many cannabinoids that cause marijuana’s effects. When studying CBD and depression, scientists found that cannabidiol works by blocking and stimulating certain cannabinoid receptors in the brain. For example, CBD prevents the breakdown of anandamide. When anandamide levels are high, they create feelings of happiness and wellbeing, but when those levels drop, the result is anxiety and depression. This is why the chemical has become known as the body’s own natural antidepressant. Feelings of anxiety frequently go along with depression, and CBD has been shown to be effective at calming those, as well. In fact, in one study, CBD was proven just as effective as diazepam (Valium) at treating anxiety. Many people find that taking CBD concentrates helps them avoid the high and other common side effects of consuming marijuana. 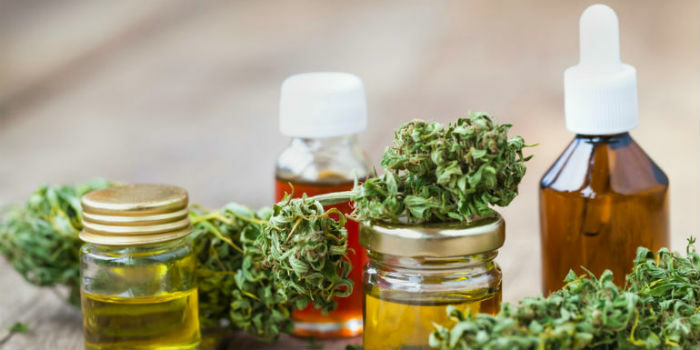 Like marijuana, CBD is available in a variety of consumption methods; people may choose to smoke high-CBD strains of marijuana, vape or consume CBD oils, or take CBD tinctures. One of the reasons many people choose marijuana for depression is because they find that the side effects are preferable to those they experience from prescription antidepressants. This isn’t to say that cannabis lacks side effects, but they can vary depending on the THC-to-CBD ratio in the specific strain or concentrate chosen. With all of the talk about marijuana as a treatment for depression, another question has arisen: can marijuana cause depression rather than easing it? While there are quite a few studies showing that cannabinoids may help lift mood, there are fewer that look into cannabis as a cause of depression. A study published in the Journal of Affective Disorders categorized cannabis as a double-edged sword in terms of depression treatment. It found that cannabis significantly reduces levels of depression, anxiety, and stress in the short-term but may exacerbate depression if used over long periods of time. Doctors at the Mayo Clinic aren’t so certain, however. Daniel K. Hall-Flavin, M.D. writes that there’s no clear evidence to link depression to cannabis use. Instead, he points out the research suggesting that people with depression have a greater likelihood of using marijuana on a regular basis. Even if using marijuana for anxiety and depression helps in the short-term, it’s important to work with a healthcare provider to see if there are any underlying causes that need to be addressed for continued long-term improvement. Can marijuana cause depression? Researchers aren’t certain if marijuana causes depression or if depressed people are simply more likely to use marijuana. While it may take some time before most medical doctors are prescribing cannabis for depression, views about marijuana as medicine in the scientific and medical community are slowly starting to shift. This is partly due to research looking into cannabis and depression; it’s also partly due to medical practitioners witnessing their own patients’ journeys and noting how well some people respond when using medical marijuana for anxiety and depression. In the present, federal and statewide restrictions on research and patient access to cannabis are putting limits on how much can be learned. As those laws change, doctors and their patients will be able to learn more about whether people who struggle with antidepressant side effects can benefit from marijuana for depression.